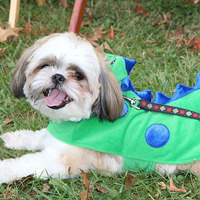 The University of Tennessee Gardens in Knoxville is going to the dogs for a Howl-O-Ween Pooch Parade and Pet Expo. The event, sponsored by the UT Gardens, Knoxville, and the UT College of Veterinary Medicine, caters to dogs and dog lovers. It will be held in the UT Gardens on the agricultural campus. Enjoy a costumed pet parade emceed by Erin Donovan. WBIR’s Leslie Ackerson is this year’s Grand Marshal. Judged categories include bad to the bone (scariest), funny bone (funniest), do(g) it yourself (homemade), pup culture (pop culture/character) and Judges’ Choice awards, including Bone-a-Fido (best in show). The event also features an expo of educational booths, pet businesses, and rescue groups. Various food trucks will be on hand for people wanting to purchase food. People are encouraged to participate in a food drive to benefit Young Williams Animal Center . They accept all varieties of dog and cat food. They also welcome dog and cat treats. The event is free to attend. Parade preregistration is $10 per costume entry (can include multiple dogs as one costume). Preregistration ends Thursday, October 18 at midnight. Day-of registration begins at 1:00 p.m. and is $15 per costume entry. The parade will begin at 2:30 p.m. and is judged by locally known dog lovers. Shirts will also be available for purchase.